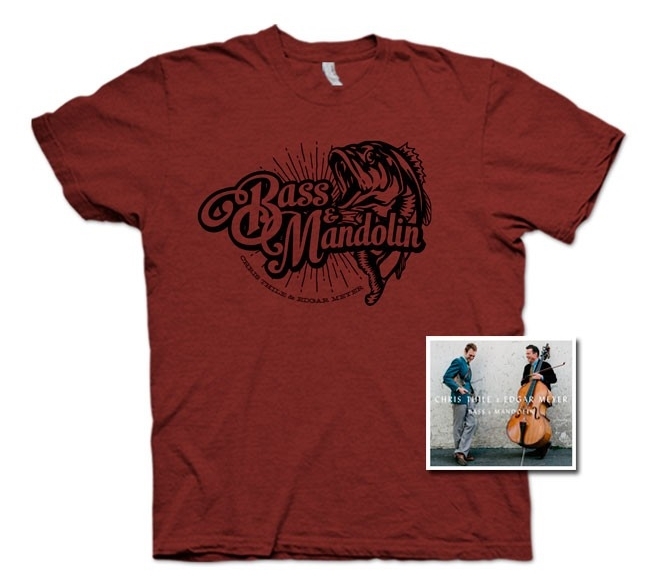 Mandolinist/composer Chris Thile, of Punch Brothers, and bassist/composer Edgar Meyer have teamed up again for a new album, Bass & Mandolin, to be released September 9th on Nonesuch Records. The album features 10 original compositions by the two MacArthur Fellows, who have been performing together sporadically for more than a decade. Past projects include the Grammy‐winning Goat Rodeo Sessions (2011), a recording of original compositions (2008, Nonesuch Records) and, most recently, Chris Thile's 2013 solo recording, Bach: Sonatas and Partitas, Vol. 1, produced by Meyer.